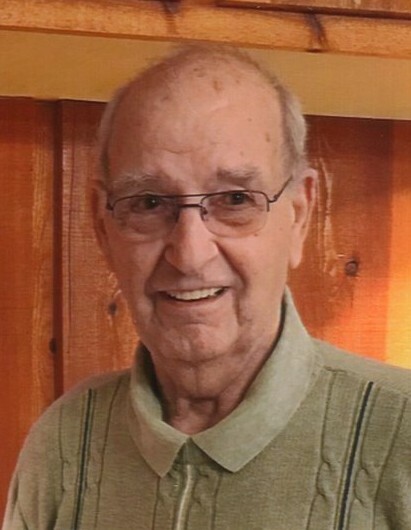 Obituary for Kenneth O. Johnson | Sorge Funeral Home Inc.
Kenneth O. Johnson, 85, Hollidaysburg, went home to be with the Lord Saturday evening, July 28, 2018. He was born December 29, 1932, in Blair County, son of Howard and Helen (Osman) Johnson. He married Mary P. Dubbs on June 10, 1953, in Winchester Virginia. She died February 18, 2015 after sharing 61 years of marriage. He is survived by two daughters: Debra Bell and husband, Charles, of Hollidaysburg and Diana Carothers and husband, Kent, of Duncansville; a granddaughter, Melissa Bell; a step great-grandson Ryan Kaufman; three sisters, Dot Glass, Doris Evans and Nancy Holsinger; a special companion Joyce Wilson and a special sister in law Jerrie Walk. Kenneth retired as a truck driver from Raible Trucking Co. He was a member of Juniata Valley Gospel Church. He enjoyed family, camping, bowling, bike riding, woodworking, hunting, music and working on cars. He was a testimony and blessing to his family and known for his kindness, generosity and sense of humor. Friends will be received 2:00 to 4:00 and 6:00 to 8:00 Wednesday, August 1, 2018. A funeral service will be held at 10:00 a.m. Thursday, Deacon Harold Lynn presiding. Interment will be at New Canoe Creek Cemetery.